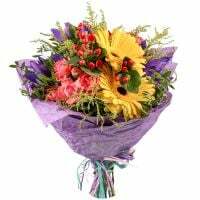 On this page, we'll help you to choose flowers for a friend. Indeed, as the closer a person is as the more difficult to make a really good gift. 1. Remember, if the recipient has pollen allergy and personal dislike for some certain plants, such as lilies with their intense aroma. So excludes incidents where a bunch would be just simply throw away or put into the balcony. 2. Avoid arrangements with overtones. For example, most people unconsciously perceive red carnations as flowers to the soldiers; anthurium in all cultures has a male symbolism. orchids will be liked by most women, so feel free to make a choice in favor of these fine representatives of flora. 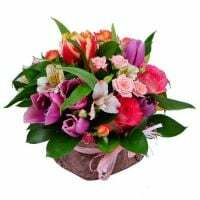 Please your friends with soul and flower delivery from AZ-Flowers.com!